The European Commission is considering an initiative that would permanently hobble the continent’s economy, writes Jan Fischer. Jan Fischer is the former prime minister of the Czech Republic. The new proposal undercuts the biopharmaceutical sector by allowing rival firms to produce patent-protected medicines. If it takes effect, the proposal would damage one of Europe’s most innovative industries, driving drug development, capital, and tens of thousands of jobs out of Europe. The proposal should be rejected. Drug development is one of the planet’s riskiest ventures. The arduous process begins when an innovator synthesises a new compound in a lab. The research stage then begins in earnest — and when the compound seems medically promising, the innovator seeks a patent. Development and testing then follow. Fewer than two in every 10,000 newly synthesised compounds are ever commercialised. Turning those rare discoveries into marketable products usually takes about a dozen years and, once all the failures are factored in, it costs upwards of €2 billion. Patents and other intellectual property protections enshrine the incentives that compel drug companies to take such extraordinary risks. By temporarily barring copycat products, the rules give innovators an opportunity to try and recoup their huge development costs. A substantial portion of the revenues achieved from the sale of those innovative drugs are dedicated to fund new projects, and enable the pursuit of path-breaking R&D in the first place. Unfortunately, regulatory hurdles often slow this already lengthy development process. Extensive clinical trials and testing can delay researchers from introducing products to a commercial market by several years. To make sure they can benefit from their patents — and briefly have a predictable market — innovators can request “Supplementary Protection Certificates.” These can extend a patent period by up to five additional years to offset time lost due to these sort of administrative delays during the development process, ideally restoring an innovators’ full patent term. The European Commission is considering weakening SPC protections. 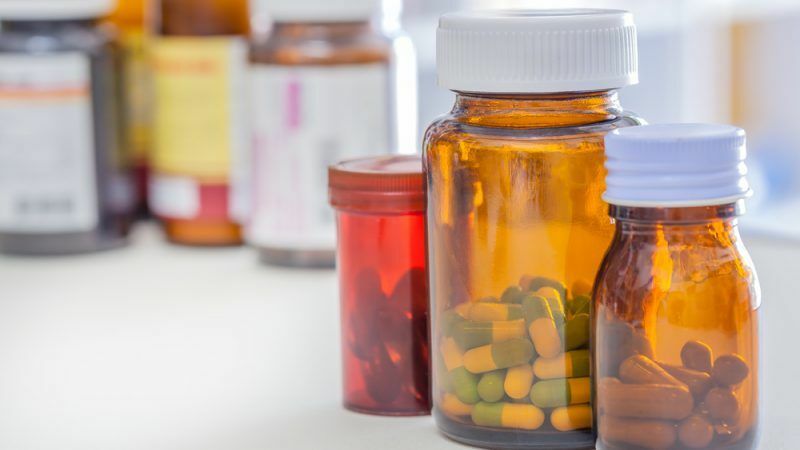 Its new proposal would create a waiver system that would allow generic firms to begin developing and manufacturing copycat versions of brand name drugs before patents have expired. This would allow generic firms to flood markets with drugs outside patent protections. The waivers have an obvious knee-jerk appeal: they might bring generic drugs to market sooner. However, this change could jeopardise the long-term health of European patients and innovation in the drug industry. Politicians want to help local, low-cost generic firms but the generic firms don’t want to take risky, and costly steps to innovate and provide new products themselves. A political handout does not create innovation or better health outcomes — in fact, it has the reverse effect by essentially stifling the very R&D on the part of innovative companies which is the lifeblood for new drugs. And we’ve actually seen how robust market exclusivity rules actually foster innovation. Since 2000, the European Medicine Agency has approved 136 new drugs. That’s compared to just eight approvals during the previous decade. And these new products combat devastating conditions such as cystic fibrosis and heart disease. Drug innovation has also generated huge economic rewards. Between 2000 and 2016, total drug industry jobs in the European Union jumped from half a million to nearly 750,000. Weakening Supplementary Protection Certificates (SPCs) with waivers would put this progress at risk. Drug companies would have less time to recoup their huge research costs, and not be able to plan adequately for market access and entry. And then they’ll take their investment capital to places with better, enforceable, rules-based and predictable markets. China’s drug market is one of the biggest in the world, second only to the United States. And the industry’s net worth — which currently sits at $122 billion — is expected to grow by up to $175 billion by 2022. As the European Commission considers short-sighted steps that would create a more difficult operating environment for the innovative medicine industry, others are ready to step in to create a more hospitable one. The Chinese government is taking concerted steps to attract foreign drug investment. Officials recently extended pharmaceutical patents from 20 to 25 years and rescinded an import tariff covering nearly 30 drug categories. Channeling precious research capital to China would have severe economic consequences for Europe as well. A study from Europe Economics calculates that weakening SPCs would eventually lead to our economy shedding over 120,000 jobs. Given the serious long-term consequences, the European Commission needs to shelve and rethink this waiver proposal. Weakening the EU’s patent regime is an unnecessary act of economic self-sabotage that not only hurts jobs but future patients — a more balanced approach is what’s needed going forward.